It was the kind of season most of us expected from Jimbo Fisher in his first year at College Station. An improvement over the past five seasons not only in the won-lost record but in the overall attitude within the program. “It ain’t gonna be like it used to be” became the battle cry and the Aggies turned Fisher’s words into reality, displaying a tougher, more physical approach that not only produced immediate results but set the foundation for things to come. Expectations have changed in College Station. Fisher has brought a swagger to the Aggie program that hasn’t been seen there since Johnny Football swatted away the likes of Alabama and Oklahoma like annoying insects. The Aggies aren’t there yet, but they’re close. 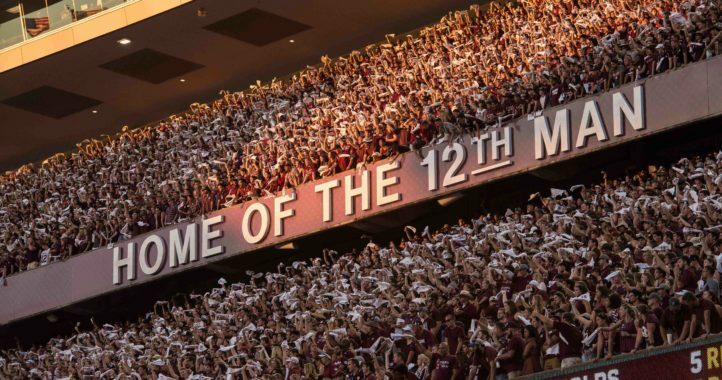 This year’s eventual champions Clemson was lucky to escape Kyle Field with a 2-point victory. Yes, Fisher has laid the foundation and it is clear to see that the A&M football program has taken a definite and sharp upward trend. That upward spike pointed due north after the Aggies outlasted LSU in 7 overtimes to break a 7-game losing streak to the Tigers that started in 2011. The Aggies snatched victory from the jaws of defeat countless times in this marathon, and that number only got started in earnest after the LSU head coach Ed Orgeron was given his premature Gatorade “victory” bath. Quarterback Kellen Mond was spectacular, especially in overtime. He ran for one touchdown and threw for 4 more, in overtime alone. For the game Mond completed 23 passes for 287 yards and 6 touchdowns. It was an incredible game, and incredible victory, and an incredible punctuation to the regular season. The precursor to “The Game,” Fisher’s first big test was a resounding success. No, the Aggies didn’t pull off what would have been an earth-shaking upset over this year’s eventual national champions. But the Aggies proved that muggy Saturday night in early September at Kyle Field that they weren’t going to be intimidated and weren’t going to give up. Outscoring the champs 13-0 in the fourth quarter, the Aggies were a 2-point conversion from sending the game to overtime. It was a quick and clear sign that Fisher already had things going in the right direction. 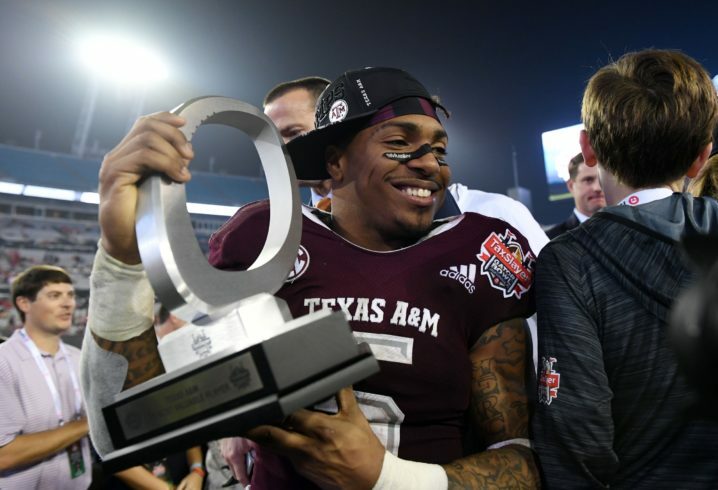 Year after year great starts ended in late-season collapses under Kevin Sumlin. It was a broken record that frankly had Aggie fans plugging their ears. But oh how Fisher flipped the script. 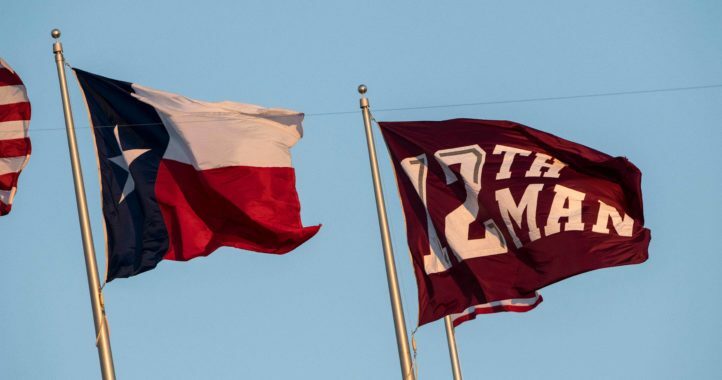 Texas A&M not only avoided the usual late-season fold this season, but ended 2018 on a 4-game win streak. Along with Florida, it will be the longest winning streak in the SEC heading into the 2019 season. Victories over Ole Miss (38-24) and No. 25 UAB (41-20) set the stage for The Game of the Year, a seven-OT victory over LSU (74-72) propelling the Aggies into the Gator Bowl, where they dismantled N.C. State, 52-13. Yeah, that was fun. The Aggies will enter the 2019 season with as much momentum as any team in the conference. Well, we would like to have seen him in maroon and white for one more season, but Williams finished his junior year with a bang and the SEC’s leading rusher proved that he is ready for the next level. He shattered not only Gator Bowl records in his final game, but also career school records in three years at Texas A&M. His 236 rushing yards in the Gator Bowl broke a 52-year record held by NFL legend Floyd Little (216 yards for Syracuse, 1966). It was Williams’ fifth 200-yard game, a school record. His 93-yard touchdown run against the Wolfpack is the longest in Gator Bowl history. He has declared for the NFL Draft, but Williams saved his best for last, setting the Texas A&M single-season record this year for rushing yards (1,760) and all-purpose yards (2,038). That Clemson game though… Needless to say we expect big things from Jimbo. 2019 schedule makes for a great opportunity starting September 7th. Can’t wait!!! Heck of a season. Once Jimbo gets his crew winning road games too this is gonna get real good.